I knew that Ceton would fix the issues with the Echo, but I did not expect the to make up ground as quickly as they have. While there is still some work to do, what is probably the most serious issue with the Windows Media Extender seems to be fixed in the latest (2012.1212.1449) firmware currently making it’s way through validation. I’ve tested a few 1080i (interlaced) files so far, and it’s looking good (literally) for both WMC TV viewing and the Echo. They just need to keep on fixing these issues. As well, I can’t wait to see what the Android software does for it. I’m hoping it will allow things like Netflix and Amazon Video, et al. I’m looking at getting four of these sometime after the new year. FYI – The update is now in public beta for anyone who wants to update. Does the echo offer any additional features over and above the Linksys DMA2100 or XBOX 360? 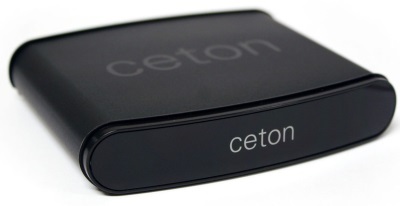 Has the Ceton Q been cancelled? Has this updated patch addressed the 1080i (interlaced) issues? Also are there other issues that still keep the Echo from being a viable purchase? For the most part, yes. It still doesn’t do cadance detection, but is watchable now. The 2nd question is harder to answer, depends a lot on what your expectations are. It handles TV well; MKVs, BD rips, DVDs = not so much.